Lobster ME offers a unique fast casual seafood dining experience yet delivering high quality seafood dishes. They’re located inside the Miracle Mile Shops located at the Planet Hollywood or the Grand Canal Shoppes at The Venetian. 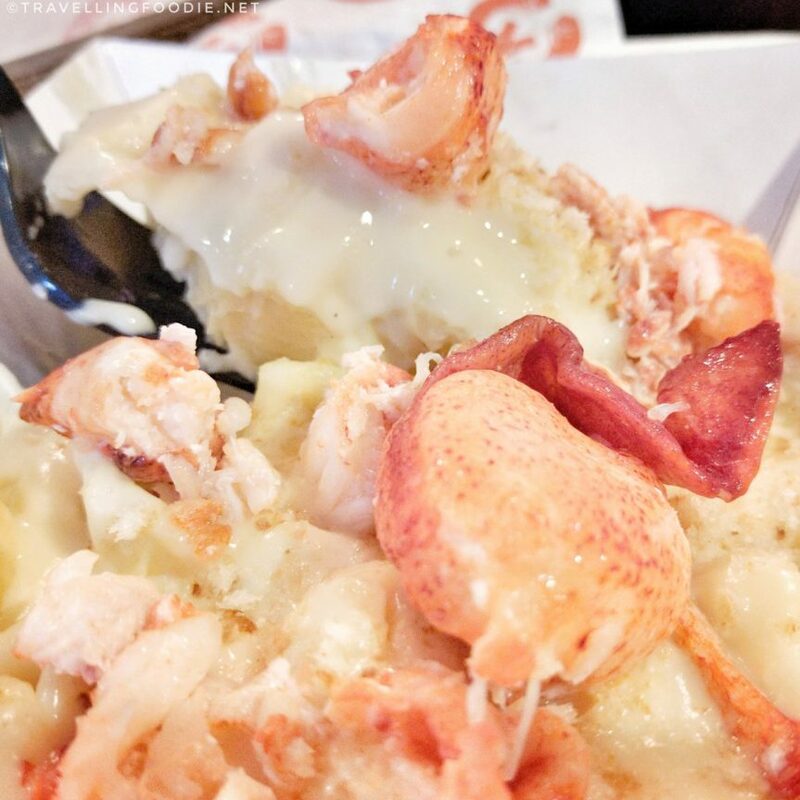 As the name suggests, Lobster ME delivers great lobster from Maine in a variety of dishes whether it’s bathed in butter, put together in a sandwich, on top of mac and cheese, or served on a skewer. One thing that’s new to Las Vegas locations is the addition of the Bread Bowl Chowder, which used to be available in the San Francisco location only. I went to The Venetian location, and the best way to get there is to access the Grand Canal Shoppes coming from the Coffee Bean and Tea Leaf by the casino escalators and near the Parking Lot. When you reach the entrance to Grand Canal Shoppes, head right and you’ll see it right away. My favourites were the Lobster Roll, Lobster Mac & Cheese and Fried Clam Chowder. The Lobster Roll had good portion of lobster such that there’s lobster on each bite! The Lobster Mac & Cheese had perfectly cooked pasta and the melted cheese was just the right amount for you to enjoy the lobster meat that comes with it. The cheese had great flavour and wasn’t salty. One thing that was a first for was the Fried Clam Chowder. I’ve only seen it here, and it was so delicious! The chowder had the proper consistency so it doesn’t explode when you bite into it. You definitely can’t go wrong with the lobster here. All the items I tried with lobster in them were very meaty and sweet! Disclaimer: Although the food was complimentary, all opinions are my own. Posted on January 22, 2017 by Travelling FoodiePosted in Food, Las Vegas, Nevada, USATagged restaurants.